Heather Saba takes a deep dive into a slightly peculiar new trend. Besides making plans and sharing all the details of our lives‚ there are two things my friends and I send to each other on the reg—memes and photos/articles about fashion trends. The trends we like, of course, but also—and perhaps most importantly—the absurdities. 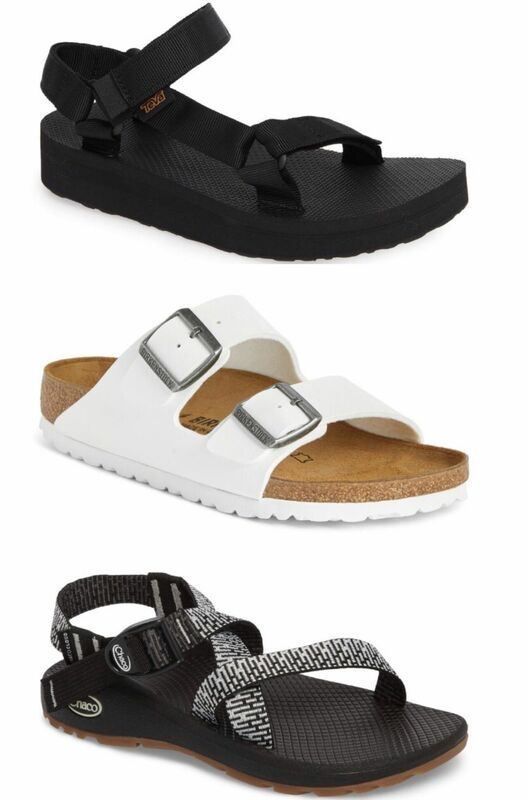 Now let's talk a little about those tourist sandals — you know, the ugly sandal you see on stereotypical tourists (think Teva, Chaco, Birkenstocks, etc.). They've been a cult favorite amongst college kids and people attending music festivals for years now—but they've recently made their debut on the runway. And now they're a fixture on the fashion scene. This all started back in September, when Tevas flooded the spring/summer 2019 shows (with socks!). Most trendsetters took that as the alert to buy a pair of Tevas. We’ve been seeing them for months now on all the street-style mavens and fashion it-girls. But now the trend has taken a turn—and in my opinion, it's for the better. 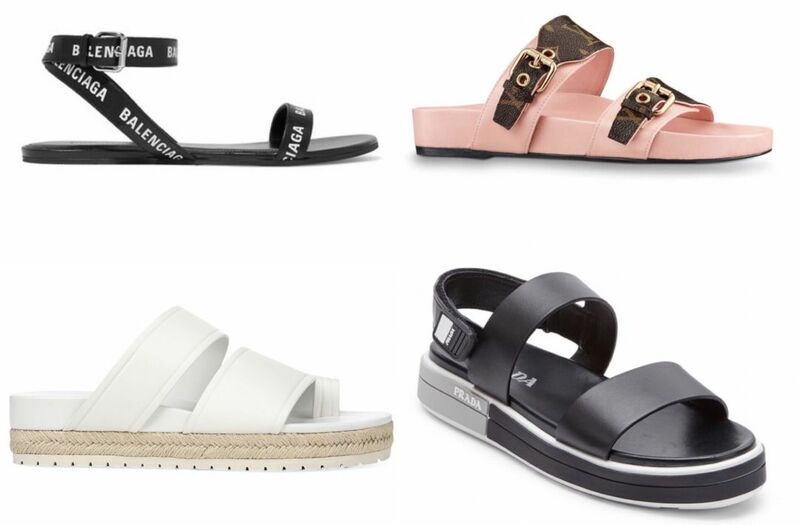 Designer brands have jumped on the tourist sandal trend and made them so much cooler. The first ones I saw were the Gucci metallic leather sandal with crystals, and to be honest with you, I was confused. Intrigued, but very confused. Gucci describes this shoe as a "sneaker-sandal hybrid, inspired by the hiking world." I mean, I’m not one for hiking, but if I were, I think these might not be my shoe of choice. 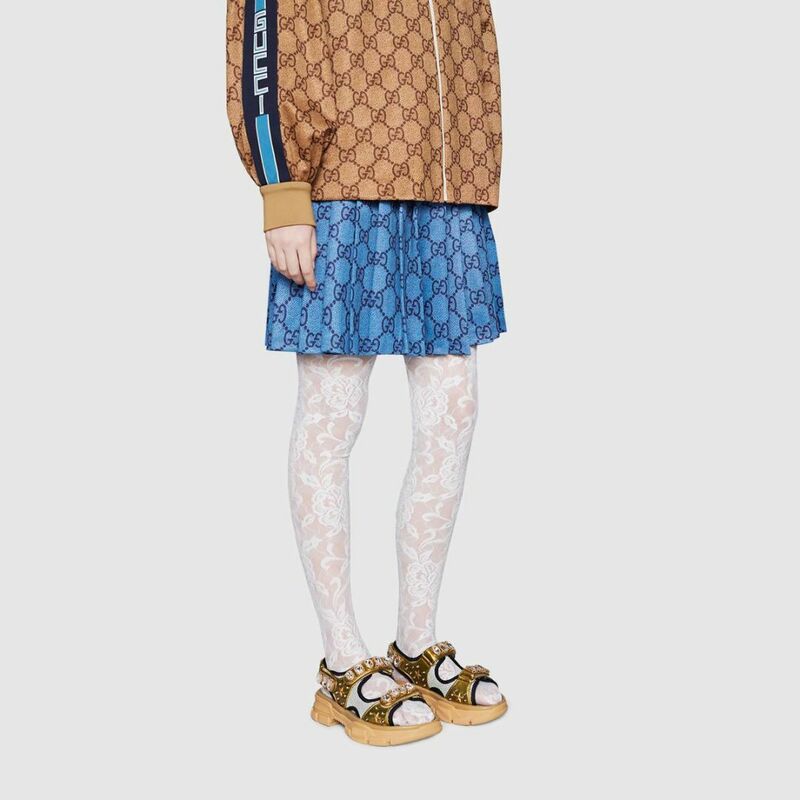 I also took that description a litttttle out of context—Gucci goes on to describe its Cruise 2019 collection, which these sandals are part of, as exploring hybridization—"a dual mix in which things aren’t what they seem and unrelated worlds collide in an unexpected way." Got it! Let’s look like we could possibly go hiking, but we obviously won’t be because our “hiking” sandals cost $1,250 and are embellished with crystals. I get it, Gucci. I mean, I wear workout clothes everyday and I never work out. So anyway, I wasn’t a huge fan of the chunky jewels, but this was runway couture. I wanted to see more. I needed ready-to-wear versions of these tourist sandals. Plus, I’ll never knock a trend right away. They aren’t always well-received in the beginning, and ones like this seem to be the ones that ruffle the most feathers anyway. I like to sit back and wait until I find the version of a trend that I’m about. Don’t forget: dad sneakers and mules weren’t cool two years ago, but have you gone out in public or opened your Instagram app in the last year? If so, you know. 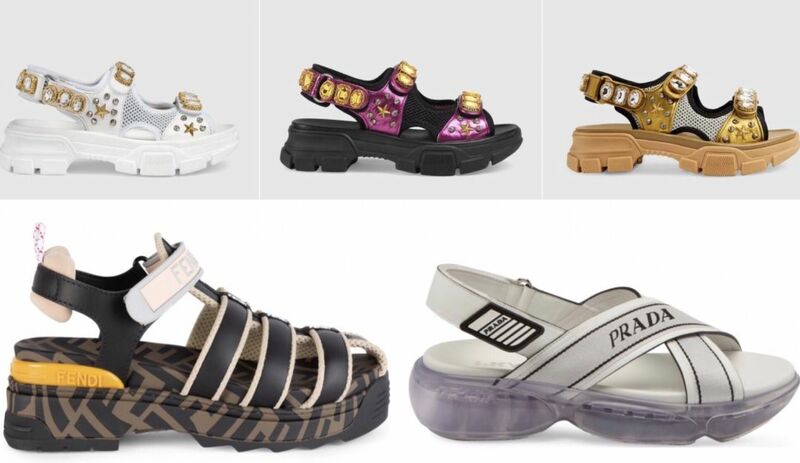 So after my initial introduction to the designer tourist sandal (thank you, Montana Taplinger), within days trend reports and blog posts about "the ugly sandal you’re going to keep seeing on Instagram" kept flooding my inbox. Who What Wear dubbed them "Sporty. Cool. Kind of weird." And that's probably the best description out there of this chunky, strappy, peculiar footwear. But isn’t that the best thing about fashion? After all, who wants to be boring? Why not wear something most people won’t understand? And if it’s weird with a price tag, even better, because I love a good fashion movement. And I love even more when I know only a handful of people in this town will embrace it. Which is why I was so excited when I saw local trendsetter Brittany Russell rocking a pair of Louis Vuitton sandals in the Bahamas last week—visual proof of the trend here in Sarasota before I even proofread this post.